Dennis Regnier, MA is President and Chief Executive Officer of CODAC Health, Recovery & Wellness. He joined CODAC in October of 2011, hailing from outside Chicago, Illinois where he was President and CEO of Grand Prairie Services, a nonprofit behavioral health organization with $14M annual budget and 14 locations. He was there since 2000. Mr. Regnier's 37-year career in behavioral health services began with the Department of Mental Health and Developmental Disabilities in 1974 where he held both clinical and administrative positions. He also has extensive experience in the for-profit health care industry, including senior leadership positions at Forest Health Systems, Century Health Care and Hartgrove Hospital. He has a Master of Arts degree in Public Administration from Governors State University and received a Bachelor of Science degree in Sociology from Illinois State University. Laura J. Kolb is Senior Vice President for Administrative Services at CODAC. 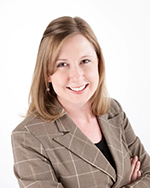 Ms. Kolb is responsible for strategic planning, development and execution within CODAC's business operations. She oversees the agency's finances, information and technology, billing and contracts administration, facilities management, membership and front and back office operations. 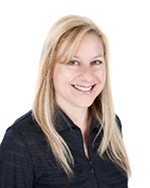 Prior to joining CODAC, Ms. Kolb held various business leadership positions in the private sectors including a dental management service organization, international manufacturing, homebuilding and other professional services. Ms. Kolb has a Bachelor of Science degree in Business Administration with a double major in Management Information Systems and Accounting from the Eller College of Management at The University of Arizona in Tucson. 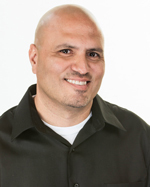 Eddie Ornelas has a Master’s degree in Counseling and Guidance from the University of Arizona. Since joining CODAC in 2005, Eddie has held supervisory roles in various departments at CODAC including the Developmental Disability Team, Forensic Services team, and as the Senior Director of Outpatient Services. Eddie became a licensed psychologist in June of 2013. In his current role, Eddie maintains oversight of all clinical services at CODAC. Eddie chose the field of counseling and psychology to help people and families reach their full potential and to live healthy, stable and productive lives. He believes in an integrative approach which nurtures the body, mind and spirit. 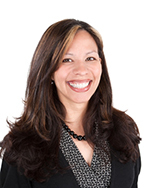 Nora Navarro-Hernandez has a Master’s degree in Counseling Psychology from Illinois State University and a Bachelor’s Degree in Psychology from the University of Illinois at Urbana-Champaign. She has an extensive background in behavioral health and specifically with providing services to the Latino population in Chicago. She is responsible for oversight of the Performance Improvement and Planning Department at CODAC including: Quality Management, Training, Data Validation, Utilization Management and After-Hours Services at CODAC. Ms. Navarro-Hernandez has been employed with CODAC since 2005. 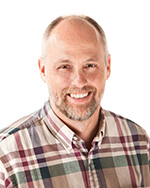 In addition to being the Medical Director at CODAC, Steve Bupp, MD has his own private practice and is Staff Psychiatrist at Arizona Biodyne and Chief Executive Officer of Southwest Biomedical Research Foundation, and holds many other professional affiliations. He earned his MD from the University of Kansas and his undergraduate degree from Wichita State University. 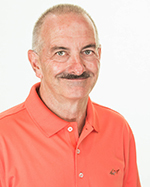 Dr. Bupp is responsible for the medical care of all CODAC members and oversight of delivery of all services. He began working for CODAC in October of 1995. Kristine Welter Hall was Coordinator of Community and Public Relations at CODAC from 2003 to 2006, and returned in late 2009 as Director of Development and Marketing. She has more than ten years of experience in marketing, communications, public relations and development. Prior to returning to CODAC, Mrs. Hall was the Communications Officer at the Community Foundation for Southern Arizona. In 2011, she was recognized as one of Tucson’s 40 Under 40 and accepted into the 2011-12 class of Greater Tucson Leadership. She has a bachelor of Arts degree from Whittier College in Whittier, CA. 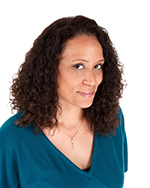 Estella R. Searcy is CODAC’s Senior Vice President of Human Resources and has been with CODAC since 2004. Her primary responsibilities include all aspects of the Human Resources department as well as some administrative coordination. She is a key participant in internal strategic planning, career development and procedural development for the agency. She maintains oversight of the recruitment and hiring process for all agency positions and monitors the evaluation processes for over 450 staff. Her extensive experience in human resources has contributed to awards for Workplace Excellence in 2008 and 2010. Ms. Searcy is dedicated to maintaining an environment that promotes positive employee relations and successful business practices. She holds a Bachelor’s in Business Administration and completed her course work for her Master’s in organizational management in 2000 from University of Phoenix and is a veteran of the United States Air Force.